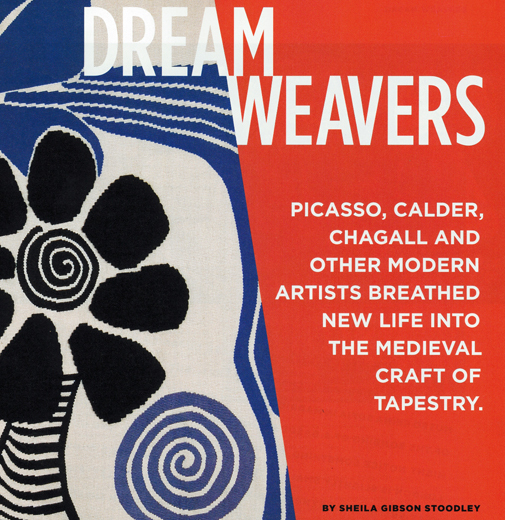 Vojtech Blau Inc. was featured again in the September issue of Art & Antiques magazine in the article “Dream Weavers” by Sheila Gibson Stoodley. The article examines the revival of tapestry weaving in Europe shortly before World War II, and the artists who employed it to translate their work into the woven medium. Continue to the article at Art & Antiques magazine.